The old fishing farm of Hyppäys has 13 rental cottages available all year round by the sea. 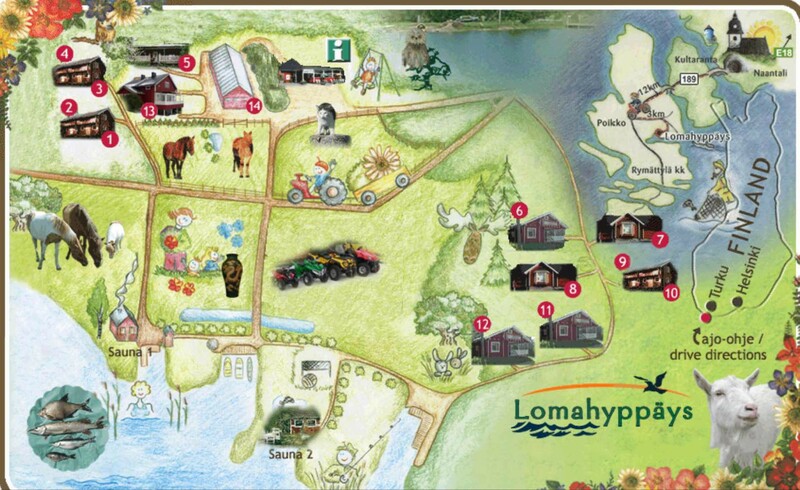 Farm animals, various activities and peaceful location make the place ideal for families visiting the Moominworld and the summer town Naantali. Welcome to experience the real archipelago life. 12 km from Naantali, Road 189 will take you to the resort. The accomodation starts at 15.00 and ends when the key is returned by 12 o’clock noon on the day of checking out. Pick up the key from Lomahyppäys reception.